Published August 17, 2013 at 1836 × 1377 in Adolf Hitler in Leonding. You will find that if you visit this place, the headstone is no longer there. 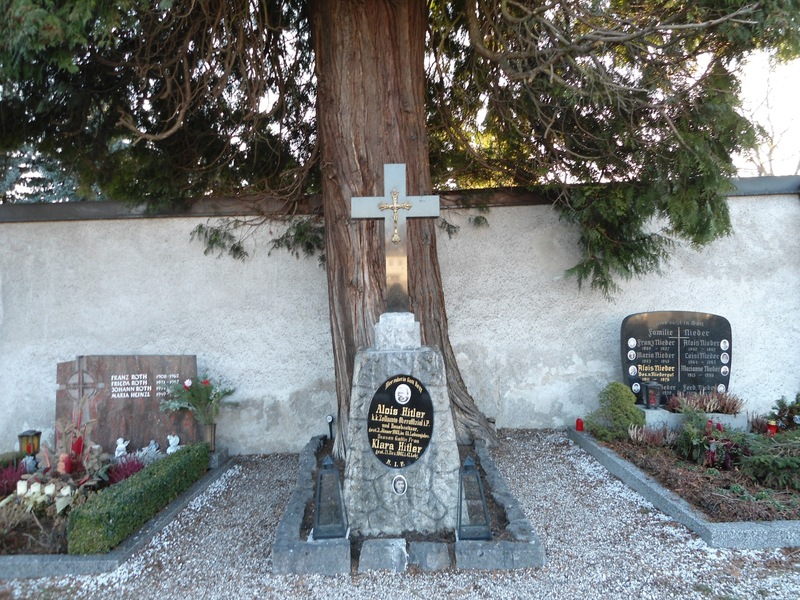 Also the tree which the headstone rested in front is gone.